Google continues to lead the green revolution for tech companies with their latest investment, a 50-megawatt wind farm in Iowa. 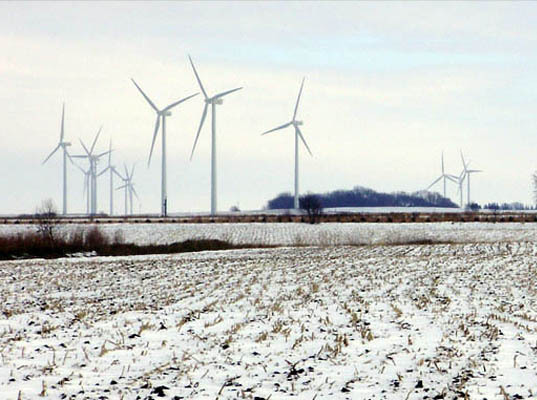 Google paid 75 million dollars for a stake in Iowa’s Rippey Wind Project; and it’s all part of Google’s goal to reach $1 billion in green investments. This latest investment pushes the total to $990 million, bringing the tech giant remarkably close to their goal. The Rippey Wind Project will be able to generate enough power to run over 15,000 homes once it is completed, although the wind farm is up and running currently at a lower capacity. The investment is part of Google’s attempt to offset their carbon footprint in Iowa, one of the states where in which Google maintains a data center. Google uses green energy to power 30% of their operations, along with investments in multiple other wind farms and solar farms throughout the US and Europe. The Rippey Wind Project was developed by RPM Access and built using turbines from Nordex USA. Google continues to lead the green revolution for tech companies with their latest investment, a 50-megawatt wind farm in Iowa. 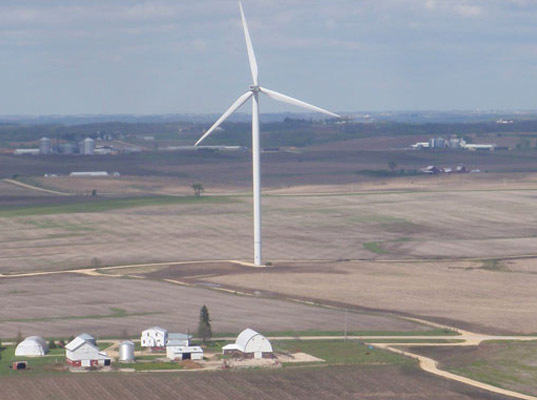 Google paid 75 million dollars for a stake in Iowa's Rippey Wind Project; and it’s all part of Google’s goal to reach $1 billion in green investments. This latest investment pushes the total to $990 million, bringing the tech giant remarkably close to their goal.